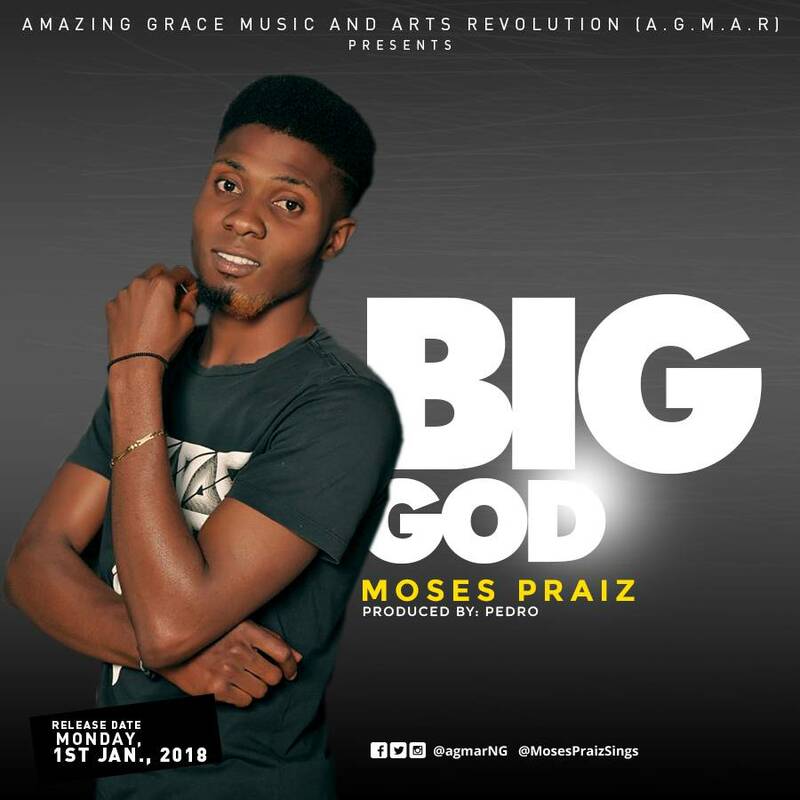 AGMAR (Amazing Grace Music and Arts Revolution) kickstarts the year with the release of a new single “Big God” by their inhouse recording artiste Moses Praiz. The Song “BIG GOD” is an Inspiration from the Holy Spirit that unveils to you the great capacity of our God; how big He is, and His great ability to turn situations around for the better. The song is coming out at a time when many around the world are faced with deep economic and security challenges. In the midst of all these challenges, this song reiterates the Greatness and kindness of God towards mankind. It is a Song that will keep you focused on the promises of God upon your life in this new year.